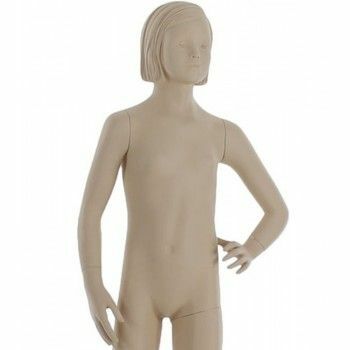 Subtle intermediary between the abstract and the realistic this stylized mannequin girl child has a face and a sculpted hairstyle. Designed for optimal duration of use, this stylized model requires little maintenance. 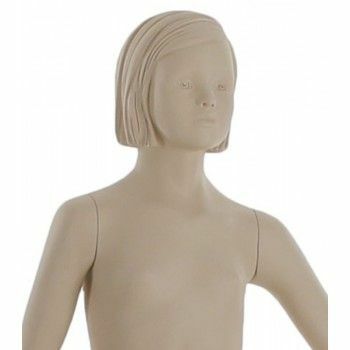 This child mannequin aims to be timeless. His position is adapted to change easily, quickly and regularly clothing. It is the ideal choice for dynamic fashion boutique that changes regularly looks. 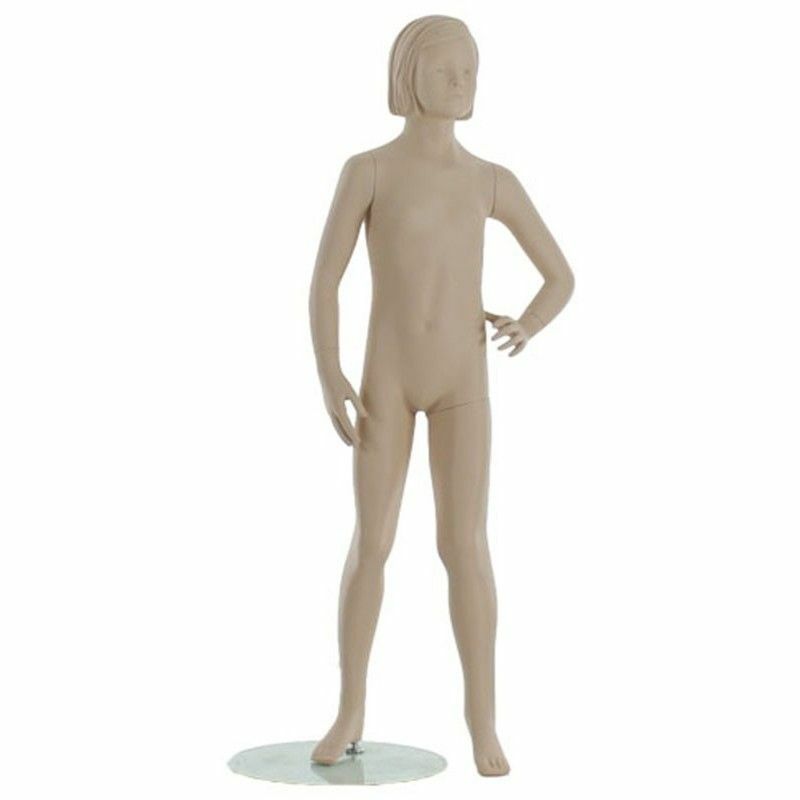 For the sake of customization Mannequins Online offers you several colors and finishes (matt, glossy, lacquered, shiny) as desired.